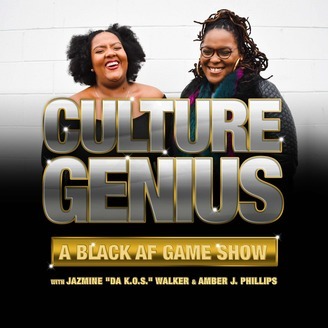 Stitcher Premium presents Culture Genius, a Black AF trivia game show hosted by the creators of the Black Joy Mixtape Podcast, Amber J. Phillips, The High Priestess of Black Joy and Jaz The King of the South. 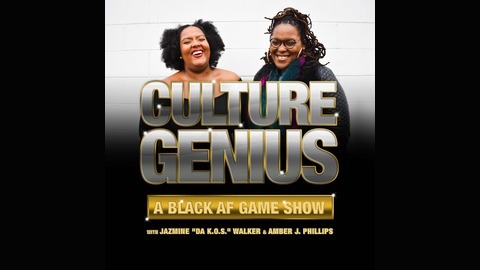 Each week, Amber and Jaz recap some of the most iconic moments in Black Culture while quizzing contestants who are some of the best, brightest, and hilarious talents in media, art, and culture. Running through trivia categories like “Black in The Day”, “The Price is A’ight” and “Buss A Rhyme”, every show is a celebration of Black excellence from the past, present, and the future! Listen as contestants go hard to earn respect and the esteemed title, Culture Genius! Do it for the culture, and play along! Who knows, you may be a Culture Genius too! Rapper, Director, Producer & this week’s contestant TT the Artist came to play, and still put us on game! In our season finale. We talk the power and challenges of being an independent artist, and the importance of creating a digital record label for women artists.